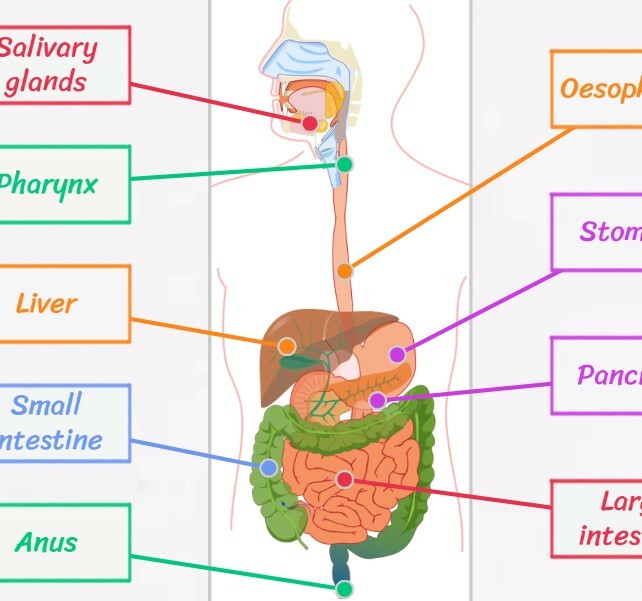 Review the parts of the digestive system with this interactive flash animation for computer play. Check the parts of the digestive system, and also the functions that each one of them performs. He then answers a series of questions in English about the digestive system. Use the computer mouse to interact with the parts of the digestive system. Check the parts and their functionality. Click on the digestive system test answers that you think are correct. Check your score.